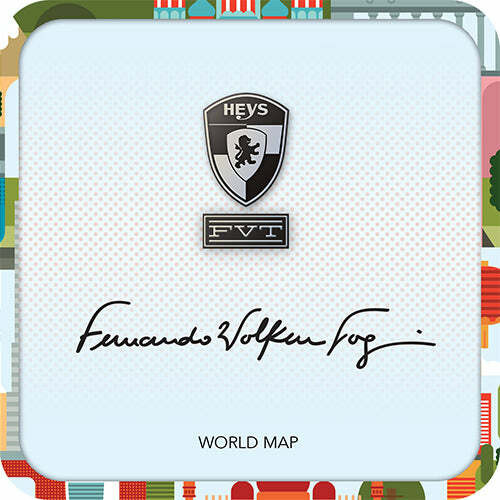 The FVT – World Map Spinners are part of a Limited Edition Series of luggage created by renowned digital artist Fernando Volken Togni. Fernando is a Brazilian-born illustrator who currently lives and works in London. His intricate compositions and bold use of colour are influenced by the observation of details and daily life. 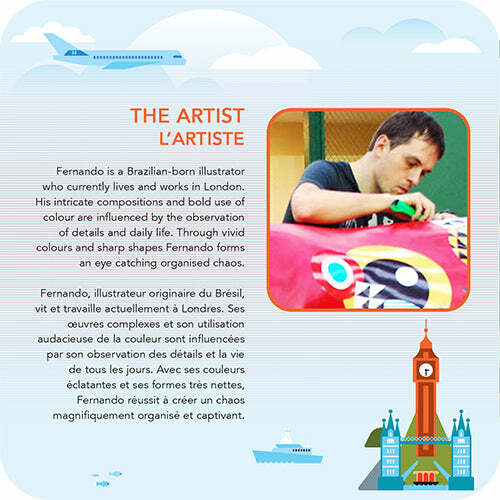 Through vivid colours and sharp shapes Fernando forms an eye catching organized chaos. The FVT – World Map Spinners have been designed to showcase different parts of the world, and when put side by side, the entire set combines to form the full world map. 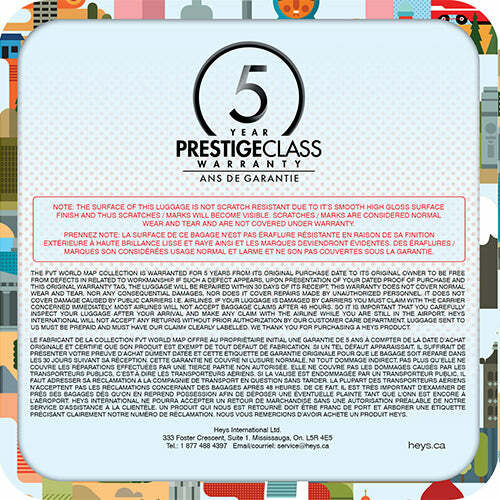 Inspired by icons and landmarks from around the world, the FVT – World Map Spinners are perfect for any traveler who wants to stand out from the crowd. 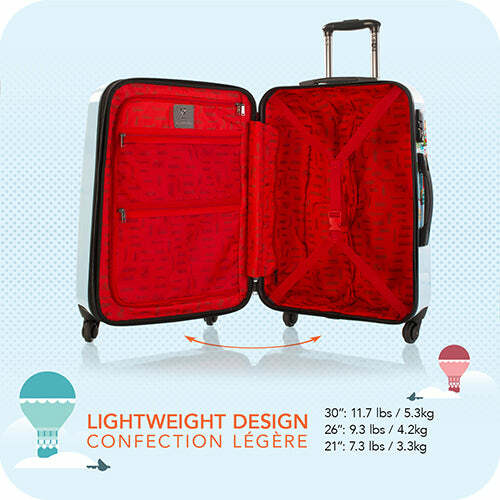 The vibrant luggage prints are protected by a layer of clear coat which also gives it a beautiful glossy shine. 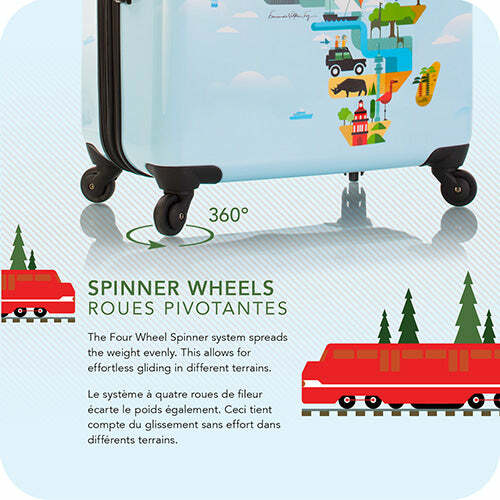 As with all Heys luggage, the FVT – World Map Spinners are incredibly lightweight, and feel even lighter when you roll them on their ultra-smooth 360 degree spinner wheels. This four wheel spinner system spreads the weight evenly allowing for effortless rolling in different terrains. 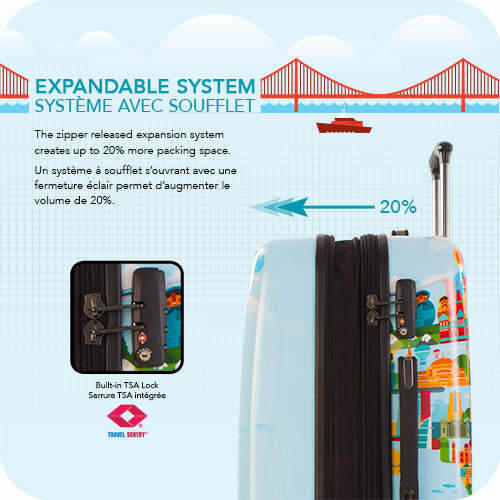 The cases have a zippered opening system as well as a zipper released expansion system which creates up to 20% more packing space. All 3 pieces also come with built-in TSA locks. When opened, the FVT – World Map Spinners reveal their inner beauty with a fully lined interior and built-in divider with mesh pocket.